CAT IV 600 V, Cat III 690 V safety rating Fluke’s family of Two-Pole Voltage testers comply with both regulation HSE GS 38 (tip caps) and IEC EN 61243-3: 2010. 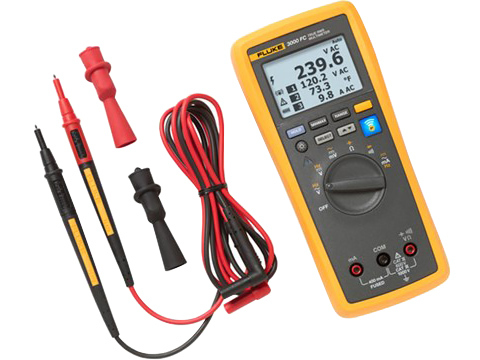 4 ways to detect ac/dc voltage A clear, instantly visible LED indicator, a bright digital display of the measurement value, an audible continuity test, and vibration to give tactile feedback (vibration indicator on T110, T130, T150). Vibration provides tactile feedback (T110, T130, T150). The Fluke two-pole testers are now more rugged and easier to use than ever before. Fast test results the way you need them, with large, easy-to-use buttons, bright backlights, and clear audible and physical indicators designed for any work situation. Rugged, high-quality construction is built to last. This includes a heavy duty molded case, a thicker cord with wear indicator, sturdy battery case, and well-fitting and durable probe protector. Enhanced ergonomic design feels good in your hand, is easy to use (even with gloves on) and quick, secure probe docking. A complete family of testers with the features, functions, and price/performance to fit your applications and preferences.